Under Armour waterproof boots are in our today’s review for a reason. When it comes to hiking and exploring, it’s very important to have shoes of great quality. Under Armour UA Infil Gore-Tex Hiking Boots are waterproof, breathable and very comfortable. 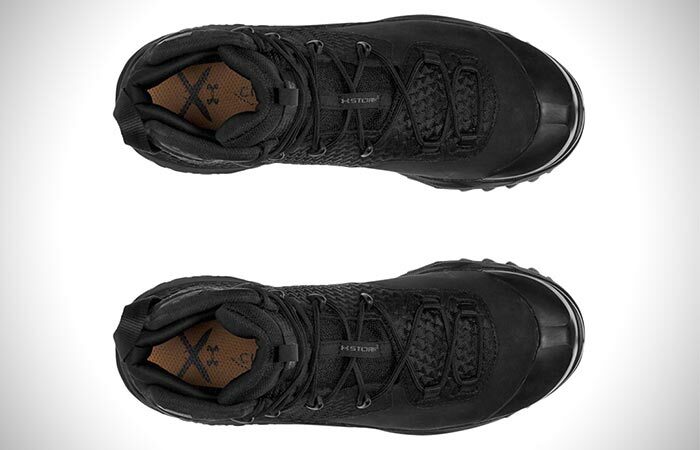 Probably the most important feature of Under Armour waterproof hiking boots is the Gore-Tex membrane. Why? First of all, it ensures the boots are 100% waterproof. They are also breathable since the membrane allows sweat to get out while keeping your feet completely dry. In addition to them being completely waterproof, these hiking boots are breathable and very comfortable to wear. 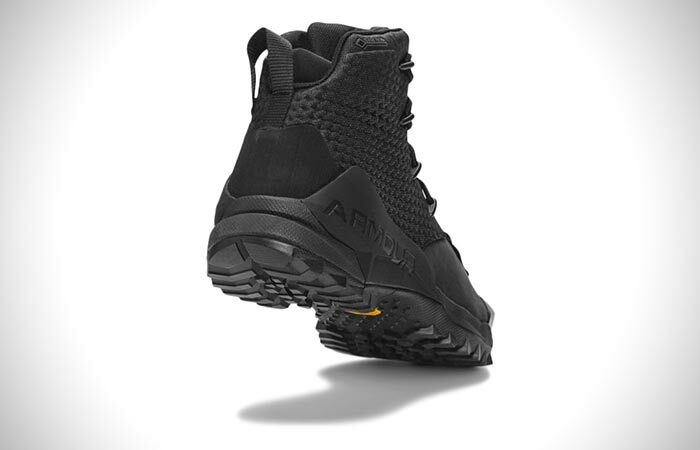 As for the construction, Under Armour UA Infil Gore-Tex Hiking Boots have a high abrasion textile upper. There’s also the EVA midsole and Vibram outsole. The outsole comes with a MegaGrip rubber that provides great levels of traction. Not to forget the Anafoam overlay that takes care of fit and comfort. The boots also feature anti-fungal pro fibers. Some other features of these Under Armour waterproof boots are a rubber toe cap and scratch rubber heel overlay. Because hikers spend a lot of time in their boots, Under Armour made sure to incorporate anti-fungal pro fibers. They are designed to reduce odor and kill 99.9% of athlete’s foot fungus. These boots weigh 18.2 oz and you can get them in several shades of black and dune/charcoal.